Victoria Santarsiero, Petersburg Section of Scranton, died Friday morning in the Hospice of the Sacred Heart Inpatient Unit after an illness. She was the widow of Anthony “Mugsy” Santarsiero who died in 1994. Born in Scranton on October 23, 1926, she was the daughter of the late Lorenzo and Philomena Denicola Castellano. She attended Scranton schools and took great pride in taking care of her family. 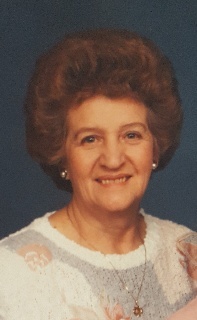 She was a devoted member of the Immaculate Conception Church Parish. The family would like to thank the entire staff of the Hospice of the Sacred Heart Inpatient Unit as well as Dr. Julie Speicher for the excellent, dedicated and compassionate given to Victoria. Surviving are her daughter and caregiver Lori Villano and her husband Jude of Peckville; sisters Blanche Buttacci and Mary Danchak both of Dunmore; grandchildren DJ Santarsiero, Erika Vandermolen, Giavanna and Francesca Villano; several nieces and nephews. She was also preceded in death by her daughter Ann Marie Santarsiero; her son Daniel Santarsiero; and brothers Donato, Charles and Michael Castellano. The funeral will be Monday at 9:15am from the Vanston and James Funeral Home 1401 Ash. St. Scranton with Mass of Christian Burial to be celebrated at 10am in the Immaculate Conception Church 801 Taylor Ave. by Rev. Joseph Sica. Friends may call Sunday from 2-5pm. For directions, to share a memory or to leave the family your condolences please visit www.vanstonandjames.com. My beautiful aunt will be remembered forever and that memory will be cherished. My heart holds memories of family dinners, her bright smile, hearty laughter, bright and happy blue eyes (in spite of the heartache in her life). Many sleepovers as a child, sitting on the front porch, walking “down the hill” to Grandma’s and just basking in the love of this incredible, loving, generous, woman. Bye Aunt Vicky. Enjoy glory with Jesus. I love you.